Spins Laundrymart is a small family run business that has been established for over 10 years. 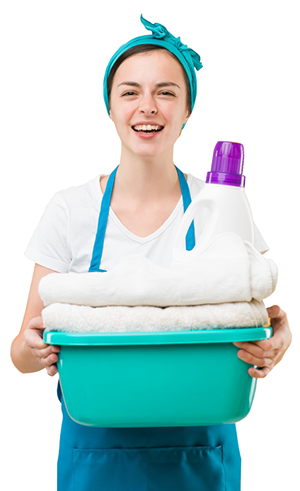 We pride ourselves on providing a clean, fresh and family atmosphere to make you feel like your doing laundry at home. We enjoy what we do and have attendants on site to ensure your laundry experience is as enjoyable as the scent of fresh laundry. We make doing your laundry an enjoyable experience. Bring your laundry, throw it in the numerous washers (double, triple, four, and six load machines), and hop over to Zoureen's Cafe! Professional laundry experts on site to assist you with your laundry needs. Double, Triple, Four-Load and Six-Load machines to service various amounts of laundry. Free delivery to Ottawa and surrounding areas, express same day service available and emergency service as well. Spins is here to provide you with utmost care for you garments, household washables, business laundry, as well as dry cleaning your more valuable items. NO TIME TO DO LAUNDRY?